SOMERVILLE, Mass.—Schuyler Towne took a gleaming brass lock, inserted a small bent piece of flat steel into the keyhole and gently applied finger pressure. Then he slid in a lockpick and manipulated the mechanism until it swung open, in less than 20 seconds. Towne, 26, is not a burglar. He's a lockpicking instructor and part of a growing competitive movement called "locksport" that involves learning the theory of locks, analyzing the devices and figuring out ways to quickly defeat the systems without destroying them. While lockpickers thrive on the intellectual thrill of beating all sorts of locks, they oppose attempts to use the skill for mischievous purposes and have laid down universal ethical guidelines: "You never pick a lock you don't own and you never pick a lock that's in regular use," Towne said. Some lockpickers observe a code of responsible disclosure by providing manufacturers information on weaknesses they discover in locks they defeat -- just like responsible computer hackers do when they detect security flaws in software. Still, the sport worries some law enforcement authorities, like James Pasco of the National Fraternal Order of Police. "I'm sure that they are having a good time and I'm sure that the vast majority of people engaged in it are just puzzle solvers of a sort, (but) you run the absolute risk of educating criminals who might be inclined to pick locks for illegal purposes, you know," Pasco said. Babak Javadi of the U.S. chapter of The Open Organization Of Lockpickers, or TOOOL, disagrees. He says locksport requires enthusiasts to invest a lot of time and patience to learn the skills. What's more, crooks are likely to use crowbars and saws to quickly pick locks because they do not care about surreptitious entry, he said. The practice of lockpicking is generally legal if the picker owns the lock or has explicit permission from the owner to pick it. But possession, creation and distribution of lockpicking tools may be illegal, depending on the location. Locksport fans compete in several formats, including head-to-head contests that determine the fastest lock picker. In the so-called Locksport Wizard, each contestant is given a burlap sack containing an identical set of locks and is required to blindly pick them using only tools they have put in the sack. In other challenges, participants have to pick their way out of handcuffs before attempting to defeat a set of locks. There also are competitions to disassemble locks and reassemble them properly. "This is why I pick: I love competing," Towne said. "Nothing makes me happier than sitting down across from another person and attempting to open a lock faster than they can." Towne's group meets once a month in a Somerville garage converted into a studio for artists. Winners at its contests take only one prize -- pride in being the best lockpicker. The Associated Locksmiths Of America (ALOA) are holding their annual convention this year, August 1-8 at the Orange County Convention Center, Orlando Florida. This is the 54th annual conference and security expo of the most widely known locksmith industry showcase. The trade exhibit's run August 5, 6 & 7. ALOA are expecting significant attendance from across the country and around the world. Exhibitors from the leading security products manufacturing companies are all providing booths and show specials. We intend to showcase some of the exhibitors with articles here. We hope you find these products and news interesting. 8/23/2018 UPDATE: We just updated the video above to a better video from our colleague Terry Whin-Yates. Came across an interesting blogpost today that has several comments by product users, all complaining about similar problems shortly after installing Kwikset Smartkey locks. "Our smartkey failed this evening. We locked both deadbolt and door as we left, came home to locked out. I called kwikset and after working with them on the phone trying to wiggle the key to the 1/4 turn position to try and get it to the learn position – nothing worked. The customer support person said since we had keys duplicated using the grinding method instead of having a locksmith stamp them out the keys had made the cams in the lock out of alignment. I asked CS how we will get in if we are on the OUTSIDE wanting in and he said we would have to either find another way in or drill out the cylinder. They are sending a replacement cylinder. No thanks – I don’t want to take the chance." "My husband just bought this and installed it yesterday. While “rekeying” to our key, it stopped working! Now both the key that came with it doesn’t open the door nor the new key. I was looking for the company’s website for troubleshooting the problem and found this! Glad we kept the receipt as this installation is not continuing! Thank you all for commenting! You are saving more people from getting ripped off with this lock!" "What a nightmare.My baby boy moves out to his first house and buys the kwikset smartkey to assure his security.comes home one night,pouring down rain and 28 degrees outside cant get in the house the key doesnt fit the lock .He has to sleep out in the car all night long.what a nightmare.never again will a smartkey be bought especially $80.00.there needs to be a recall on the kwikset smartkey.what a let down." Option one, I can take the deadbolt off my front door to bring to Home Depot and have them fix the lock, which would leave my house unsecure as there would be NO lock on my door. The other option is to wait 5-7 days for a new lock from them. He said the new lock they will send me is more efficient then the one month old lock already installed and he guarantees it will not have this problem. In the meantime, how the heck am I supposed to get in and out of my house if my lock doesn’t work? WHAT A JOKE! Take these stupid things offffff the market"
Kwieset and installed it on the front door. From the get-go I had problems, only some of the existing keys worked. Bought new keys and they seemed to work better for a short time. Now they are giving me problems. I have to jiggle them inside the lock to unlock the door and even now they are giving me problems. Finally I had enough: no trust in the lock and never knew when I would be locked out again. I took the smart key cylinder out and installed the old lock, which is a non smart key. At least now I have peace of mind that it will always work. I am keeping the old smart key locks, because I know with all the problems that everybody is having, there has to be a recall and maybe I can get my money back, but I will not hold my breath. Keep complaining to Kwikset about the so called smart key. I wasn’t very smart to buy it in the first place." 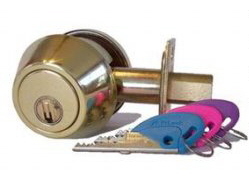 Many people seem to think that locksmith services are too expensive. In fact locksmith services are often cheaper than purchasing the DIY products from the big box hardware stores, because locksmiths have taken the time and training to master their product lines. Installation, service, maintenance all taken care of by a true technician with experience in the field. I understand the perception that DIY is often cheaper, but realistically the locksmith (one of the oldest professions) has deliberately trained to service, advise and protect consumers from the poor advice and suggestions often received at the big box stores from untrained, unknowing part time sales assistants. I regularly see both Kwikset Smartkey and Schlage Securekey products in the field. Often they are purchased by consumers at the big box hardware stores because most locksmiths refuse to stock them. I can easily reset the tumblers for clients, often because they have lost the reset tool for the Kwikset or are simply unaware that the process is uncomplicated. The Schlage Securekey is a little more complicated process to re-key, but this is because many customers no longer have access to the blue reset key. For the better (and often cheaper) products, visit your local locksmith today and find out the why's and how's behind purchasing suitable functional and correct locking systems and products. The business of security products often involves finding solutions tailored to many and varied needs. There are a great many motorcycle riders on the roads and securing their bikes is as important as securing their cars or homes. Many motorcycles are often parked on the street and are of interest to many pedestrians. Sometimes these pedestrians are over eager in their appreciation and affection for the bike they are admiring, often touching or even climbing aboard a parked bike. Worse still, are the thieves who steal bikes. How do you stop them? A determined thief cannot be stopped, but as a locksmith and security products and services provider, I am constantly looking at quality and inexpensive devices that aid owners in protecting their property. 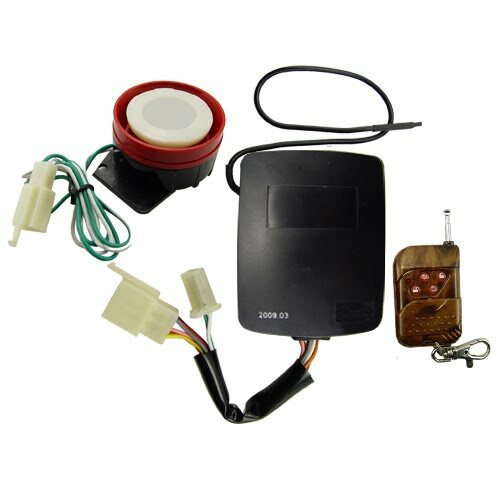 Pictured here is an extremely affordable motor cycle alarm system that when professionally installed, not only sounds an alarm, but can prevent the bike from being started too. If you own a motorcycle then this is a must buy. Protect your investment with an affordable yet powerful security solution offering complete peace of mind. This is a simple DIY installation unit with no special tools needed. With a user-friendly remote control alarm setup, the bike is fully protected from tamper and theft once the audio and phonic alarm is armed. If the motorcycle is touched, the alarm siren will beep and the direction lights will flash. And, if the motorcycle is touched again within 20 seconds, the alarm siren will trigger fully and sound constantly with the direction lights flashing quickly. The motorcycle engine will be locked and rendered inoperative at this stage. The system also has an anti-hijacking feature causing the motorcycle engine to be cut off after a short period. The sensitivity of the alarm system can be easily adjusted by remote to four different settings according to your specific needs. 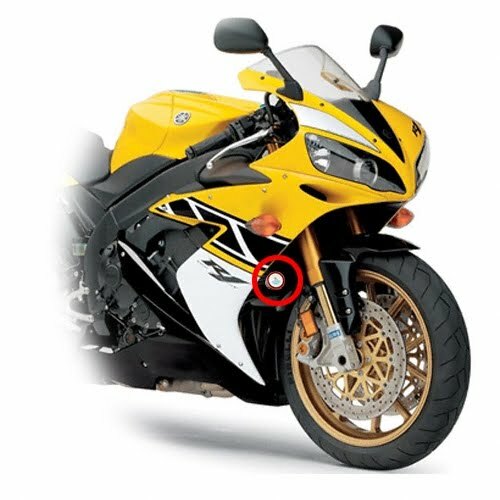 For additional peace of mind, an emergency security function ensures that the engine is completely immobilized should the motorcycle be started up forcibly. With its effective functionality and ease of use, this alarm system is an affordable security solution for any motorcycle, providing maximum peace of mind. Genuine inquiries by email preferred. OZI Lock is another Australian manufactured supreme quality mortise door lock, that is available in both 60mm (2-3/8") backset and 45 mm (1-3/4") backset. Especially designed to comply with the international building code. This stylish and modern approach to locking system design and function, provides much sought after solutions to building design and hardware selection. I think the ability to install easily into multiple different styles and builds of doors, separates this product from other considerations. Clearly, Nidus have have positioned themselves in a new and exciting world of form and function hardware. They (like me) are keen promoters of Italian design and quality products as well. The map here represents crime incidents reported by St Louis County Police for the West County Precinct, for June 2010. As usual, we are primarily concerned with Burglary, Robbery, Larceny. There are 150 of these incidents reported to St Louis County Police in June. 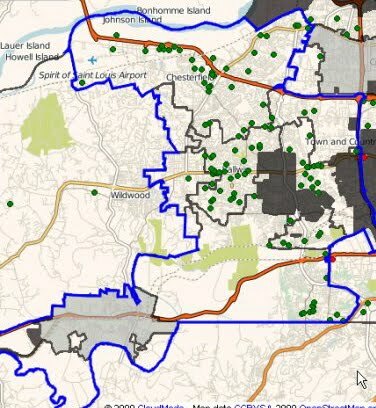 It seems the higher rates of these crimes are appearing in Chesterfield, Manchester, Wildwood and Ballwin. Crime prevention involves adequately securing your premises with suitable and correctly functioning products. We prefer not to report the precise location of these crimes and if you want to know the block and street location of these crimes, please click the source. 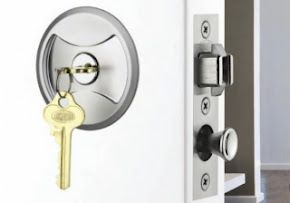 We are regularly servicing both residential and commercial clients in the West St Louis County region, securing their properties, repairing faulty lock and door products and re-keying properties (to prevent unauthorised access). 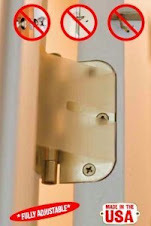 We can help you with that sticky lock, that rubbing door or that sliding patio or pocket door that is hard to operate. BiLock is proud to announce the certification of the BiLock New Generation Quick Change Core locking system to EN 1303. This high security standard is the pinnacle of security standards in Europe. 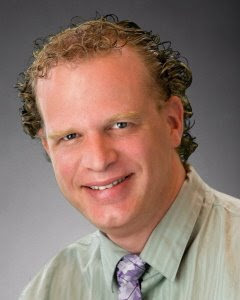 to submit an even more improved version for US and Canada certification. 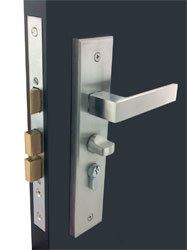 This BiLock system will far exceed the requirements set forth in UL 437. The new design will also thwart even the most sophisticated picking and decoding tools that are in use by the US intelligence agencies. Our rigorous testing and the certifications demonstrate that a convenient interchangeable core system can be manufactured to withstand physical attack, picking, and decoding and still be a real value for end users. We expect to be in full production of this newer generation product this fall. The motorcycles of the great Japanese manufacture are protected by Meroni locks. Among the many companies that have adopted Meroni products for their guaranteed and certified quality is the prestigious motorcycle manufacturer, Honda. The core of the chosen locking device is the 33 series, certified by the CNPP and TUV institutes, that lies at the heart of many of Meroni's leading products, including the antitheft-padlock Luccotto. and the innovative UFO 'versatile defender'. The key characteristics of this drill-proof, anti-picking steel locking device, available with over 250,000 combinations and designed to withstand determined attack, made it the ideal device around which to build locks for the Japanese motorcycles. A Honda motorcycle is a high-value item that must often be left unattended at insecure locations; it deserves the kind of high-quality security protection offered by the 33 series from Serrature Meroni. A detailed market survey among producers of office furniture revealed a strong demand for new closure solutions that were faster to fit, had fewer component variants and with a greater emphasis on quality. Meroni's first response to this demand is Pratiko., the revolutionary patented doorknob design that satisfies all of the requirements in a single model. Pratiko is extremely flexible and is totally compatible with all Meroni cylinder locks. It is also equipped with a special adaptor device, allowing it to be used on panels ranging from 17 to 21 mm in thickness. In addition, thanks to a special spacer system, Pratiko eliminates the play that is often a problem between the door and a handle not perfectly flush with the panel surface. 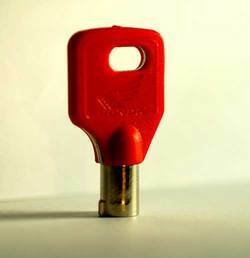 There is growing demand from utility companies for stopcocks with integrated security locks. Much of this demand is being driven by the introduction of new regulatory standards, in particular UNI-CIG 9036/01, which stipulates that, for reasons of safety, the stopcock fitted to each meter should be operable only by the user. The requirement can only be satisfied by fitting stopcocks with security as well as, in the case of single users, lockable cabinets. 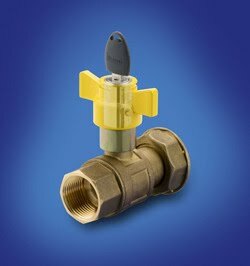 The new Meroni 26RB5 is a patented lock system which is even more secure, flexible and quick to install and can be used on every type of stopcock – water, gas or compressed air. Thanks to its automatic fitting system, the 26RB5 can be installed in half the time of a conventional stopcock lock. In addition to the 26RB5, the 28RB5 model is a stopcock lock with body and cylinder in brass. Many educational institutions and local councils would benefit from being able to secure the taps of their watering systems, reducing the crimes of convenience committed by persons wishing to disrupt normal efficient operations. 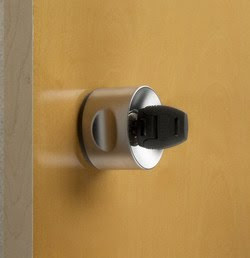 July 3, 2010 - The BBB (Better Business Bureau) report that Bioaxxis Development Corporation, makers of the innovative BD1 Deadbolt and Thumblock, have recently closed their operations. Bioaxxis were at the forefront of biometric access technology, producing some surprisingly inexpensive yet good quality modern, aesthetically appealing and functional security hardware. Personally, we found the products to be useful but in low demand. The Kwikset & Schlage cheap mentality era is still upon the USA. We will be clearing our excess stocks and anticipate reductions to cost + shipping. Used properly and in conducive environments, the products hold up well. I did find some age related implications for the product line, however. It seemed that there was a problem with the scanners ability to properly load, store and distinguish fingerprints in the memory, but only of people over 65. It is a known issue, that as we age, we literally wear out and sometimes fingerprints are one of the first body parts to wear.